Menorcan Style Villa With Breathtaking See View. El Cielo far exceeded our expectations. It was extremely clean and well equipped and in an ideal location for a perfect holiday. The beach, easily visible from the terrace, can be reached either by foot down about 120 steps or alternatively by car to the car park adjacent to the beach, and is tranquil and safe. The view from the terrace is beautiful. Whenever you entered the villa, it felt cool compared with outside, but additionally there is air conditioning to the two bedrooms. The terrace had excellent sun beds and furniture and also had an electric awning should further shade be required. There were great views from the terrace and it was good for bird watching over the hills opposite. Also good for star gazing as the air is clear and the sky is quite dark. El Cielo is within easy walking distance of a number of good restaurants and bars. This was our first time in Cala en Porter and El Cielo. We went open minded and were very pleasantly surprised on arrival. The villa was all it was advertised for and perhaps a little more. Of a good size for 2 and well equipped. Neat, clean. We are not necessarily beach goers and the terrace was a welcome aspect of the villa. As was its outdoor shower! We agree with some other guests that parking was a wee bit of a letdown, but hey, you're on holiday! We ate out some times, but found that the comfortable terrace with amazing views was most of the time an even better alternative. We recommend to rent a car to explore the other villages on the island, although there is also public transport available. We ourselves did some sightseeing, such as Bini Beca Vell, Mahón and Torre d'en Galmés (prehistoric Talaiotic and post-Talaiotic site). 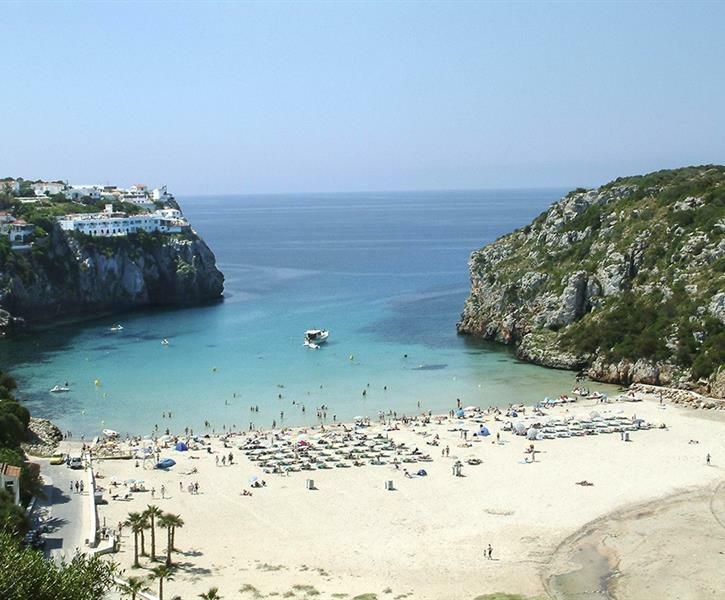 We found Menorca to be a beautiful and green island, with gently rolling hills. All in all a great stay and we definitely recommend Villa el Cielo to others! The property was a small 2 bedroomed villa with a large terrace which looked out one way onto the beach and the other down the valley so a magnificent view. The villa was quirky which we loved and had everything we required, it was clean and fresh and very comfortable. The parking is on street and most of the time it was very difficult to park outside so we had to park some way from the villa, this could be a problem in peak season. Other than that we had a lovely stay only ate out once as the view from the villa was so good no where could compare. Cala en Porter is 20 minutes from airport and is a beautiful spot, the sea is turquoise and lovely to swim in especially for small children. From the villa you could either walk down to the beach by steps or by road. There is a car park at the bottom. Lots of restaurant all in walking distance from the villa. This is our 4th time to Menorca and our first in Cala en Porter and this was the best place to stay by far, absolutely loved it and would thoroughly recommend the villa and area.